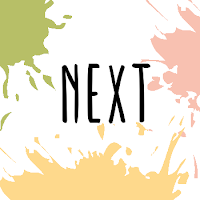 Hello friends - welcome to our April "Color Combo Blog Hop!" Today we are sharing projects featuring: Pear Pizzazz, So Saffron, and Blushing Bride. 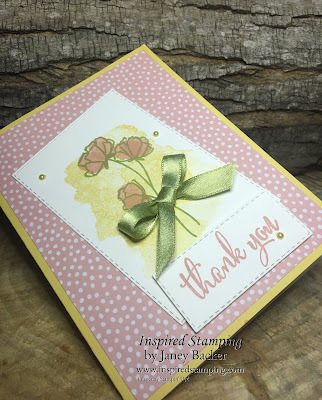 I was inspired to use the Love What You Do stamp set for this challenge. I had fun with our new Stitched Rectangles framelits for my floral image and my sentiment. I like staggering and slanting the rectangles in my design. Here you can see the stitched effect on the edges of each rectangle. My flowers are stamped with the smaller shape in Blushing Bride over the Pear Pizzazz floral outlines. My supply list is at the end of my post. I loved this color combo - I hope you will use it in your stamping too! 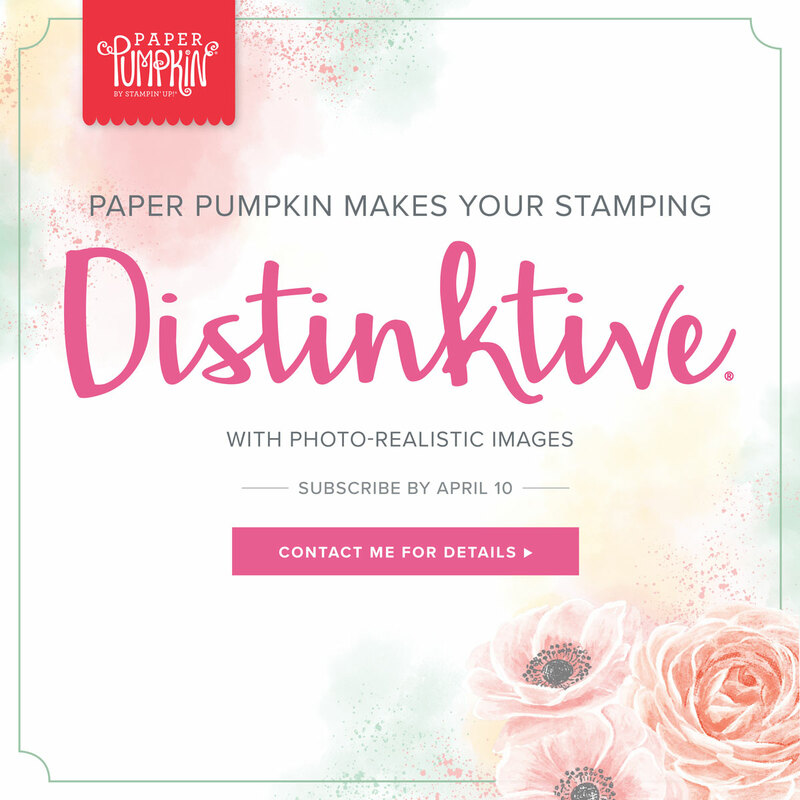 April 10th is the last day for US customers to subscribe for the newest Paper Pumpkin. Our April kit is offering the exclusive patented DistINKtive stamps with photo-realistic images. Subscribe here so you don't miss out!